I have to admit to not having seen Gill Sim's blog or Facebook page before, so I hadn't heard of Peter and Jane and their adventures. 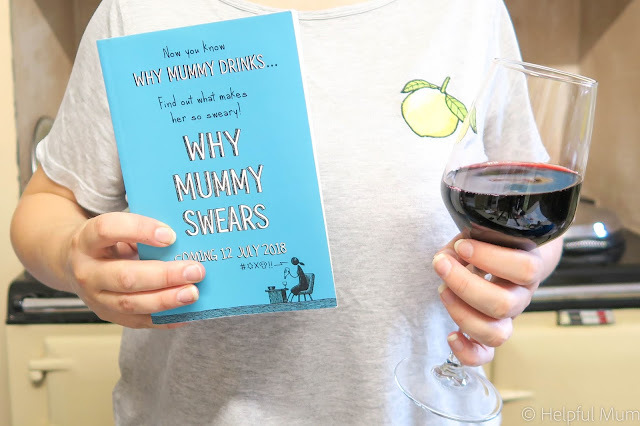 I also hadn't read Why Mummy Drinks, which is the first book by this author. I love to laugh and am not offended by swearing, so I was really looking forward to getting stuck in to this book. Any writing which can take the mickey out of parenting in a lighthearted way is a winner for me. Why Mummy Swears is the story of Ellen, her husband Simon and their two "precious moppets" Peter and Jane. Peter is 9 and Jane is 11 and my children are exactly the same age gap, although two years younger. The book starts with Ellen contemplating the summer holidays and what they are going to do with their time. She is also job hunting, and amazingly gets an interview for her dream job. As a mother, any job is going to be difficult to juggle the children around, but this job is full-time and you can see how that would make childcare a struggle. Gill Sims writes about the the exasperating side of parenting incredibly well. We have all experienced the child who would only eat from the blue plate, or the children who fought over the yellow bowl every morning. In fact, I once threw all the blue plastic IKEA plates away in a fit of rage when my children fought over them for the 8th time that morning. It's good to feel that I am not the only one who occasionally has to walk out of the room, utter an expletive and walk back in with a cheery demeanour! Frustratingly, though, I found the lead character Ellen difficult to warm to, which led to me struggling through the book a little. 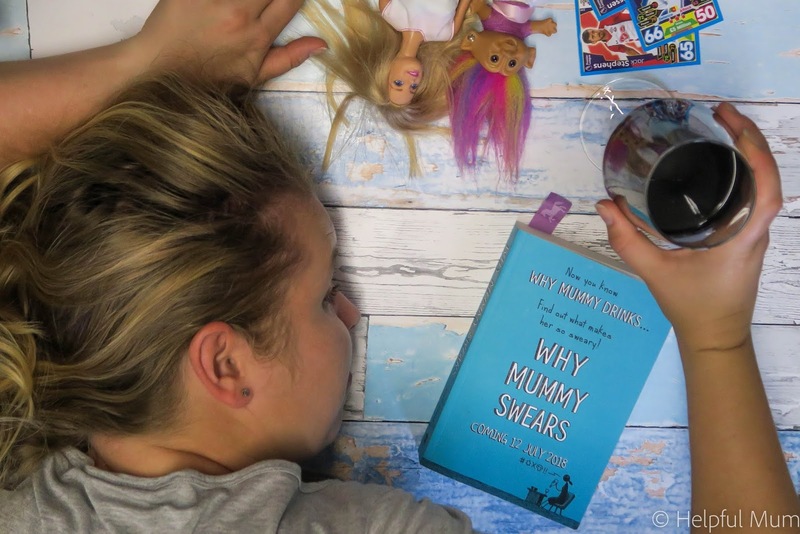 Why Mummy Swears grapples with some huge topics, divorce, pregnancy, not wanting children, and equality at work, but personally I feel it fails to adequately tackle inequalities in the home. It made me incredibly thankful that my husband helps out at home, and treats me as his equal. When Ellen starts her new job, she fails to mention that she has children, and once she hasn't mentioned them, it becomes increasingly difficult to blurt out the truth. 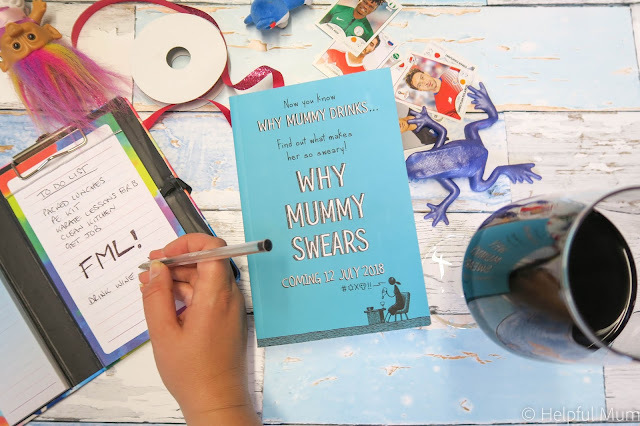 Why Mummy Swears highlights the inequalities of the workplace in the fact that her colleague Lydia is treated differently because she is the only mother in the office. Her colleagues belittle Lydia and claim that she is not doing her fair share, because she has to go to school assemblies and sports days. After a showdown near the end of the book, where Lydia puts everyone in their place and proves just how hard she works, the workplace does end up a little more equal. It's a diary style book, and I can see why other reviews have compared it to Bridget Jones' Diary. I really, really wanted to like this book, but in all honesty, I found it a little flat. It didn't make me laugh out loud. Whilst there are elements of the book which are highly relatable, as I have similar aged children to Ellen, I didn't find the household environment realistic. I found the book to be quite judgemental, and a bit painful to read at times. In fact, having read the other reviews on Amazon and Goodreads, I have ended up questioning what is wrong with me and why I don't find it funny like everyone else! I know the book is tongue in cheek, and I think possibly the fact that I couldn't warm to Ellen had a huge impact on my enjoyment of the book. It was well-written and the plot flowed nicely, making it easy to read, but the tone just didn't quite sit right with me. Gill Sims is a bestselling author and her previous book Why Mummy Drinks was the number one bestselling fiction debut hardback in 2017. Her first novel was in the Sunday Times Top 10 Bestsellers for over 23 weeks, so there are plenty of people who absolutely love her writing. I think that if you liked the previous book then you will love this one too. Disclosure: I was given this book for the purpose of review with the Mumsnet Book Club. All opinions are my own.